Makeup is one of those things that you cannot live without, nor can you live in it. Agreed? Lip gloss and mascara count too! Believe us; you absolutely must wash it off at the end of every day. You say, “Okay! Not a big deal,” and you get hold of your moisturizing eye makeup remover lotion or something that your BFF swears by. Well! Timeout! That’s not doing a lot of good for your skin either! Let us tell you why. Most makeup removers have alcohol in them, which dries out your skin pretty quickly and irritates your eyes. They also contain highly active cleansing ingredients, emulsifiers and surface active agents that remain on your skin unless you wash them off. A lot of commercial makeup removers include preservatives like formaldehyde and artificial fragrances. And that’s why we ask you to stop and check out these amazing DIY homemade makeup remover recipes, made with all natural and skin-friendly ingredients. Aloe vera is known to have anti-inflammatory and antimicrobial properties, both of which will soothe the skin while also removing any germs or other impurities. In addition to removing makeup, aloe vera can heal any wound, scar or injury in a shorter span of time than if not used at all. 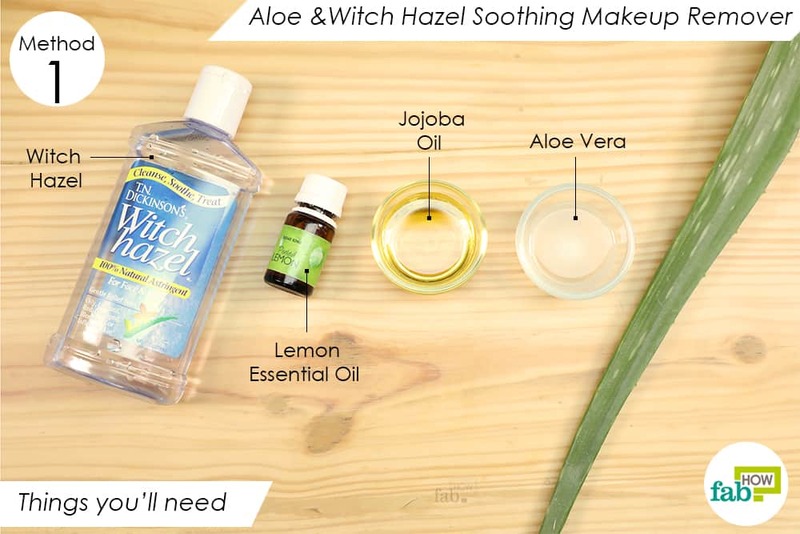 Witch hazel is a natural astringent which means it can clear the skin’s surface of excess oils without over-drying. Jojoba oil is a great skin moisturizer and also can be used for tackling excess sebum and preventing acne breakouts. This ingredient also helps to break down makeup like foundation, mascara, and lip stain. 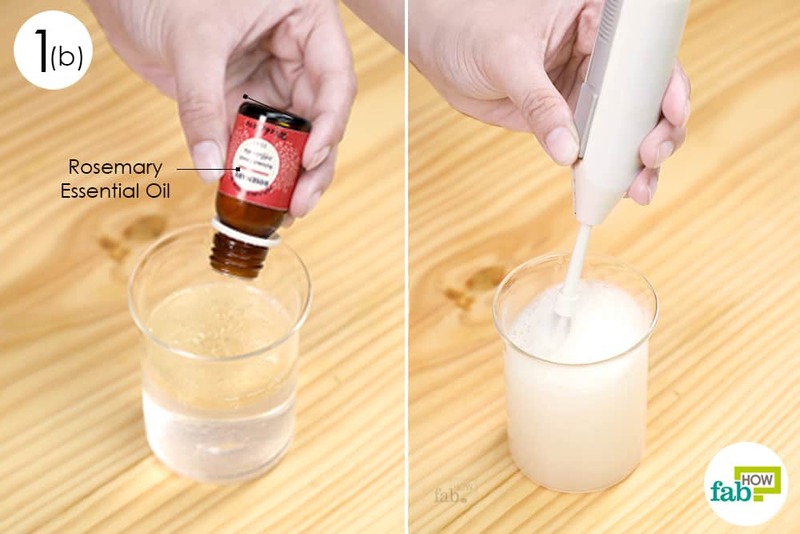 Make sure you’re using pure jojoba oil and fresh aloe vera gel for this remover. Pout 2 tablespoons of jojoba oil into a bowl. Add 2 tablespoons of witch hazel. Add 1 tablespoon of aloe vera as well. 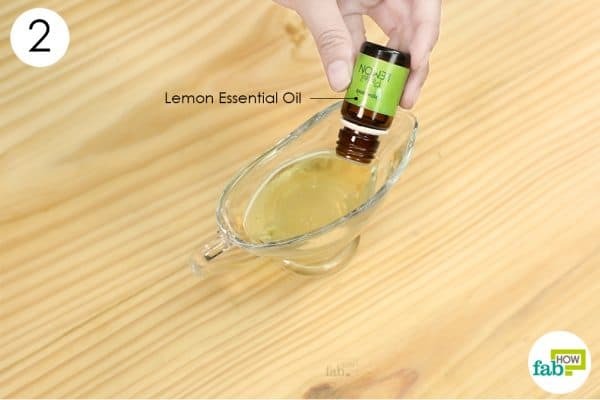 Add 1 drop of lemon essential oil to the mixture. 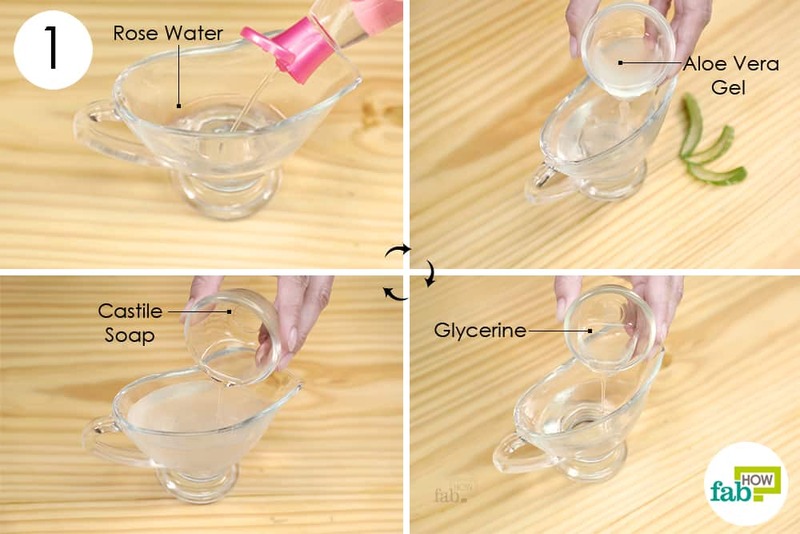 Pour the mixture into a reusable or easy-pour squirt container. 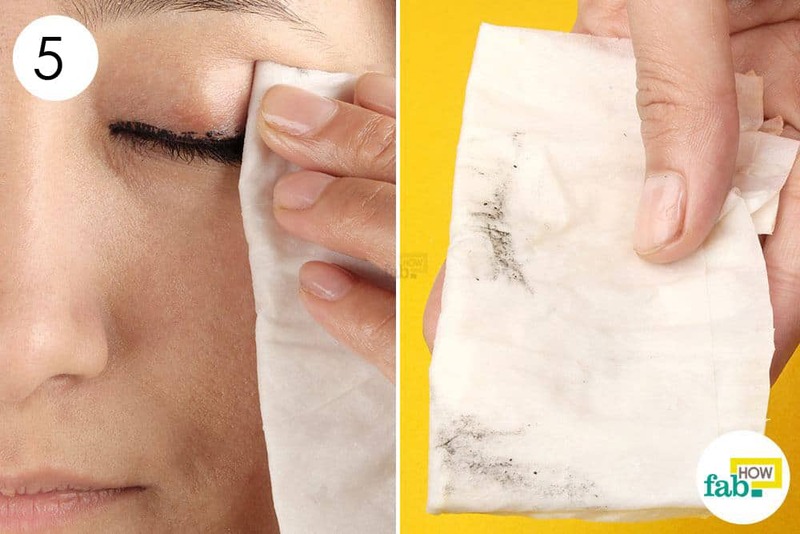 Squirt a small amount onto a cotton pad and gently wipe off your makeup. 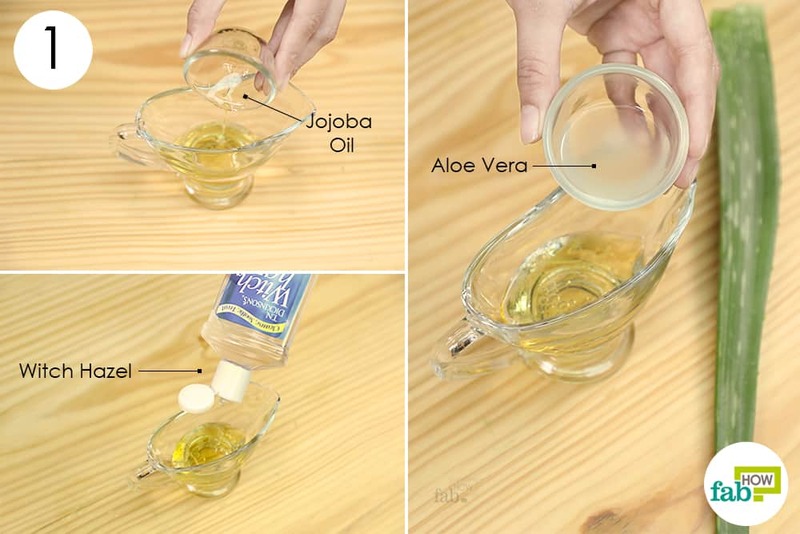 You can use a moisturizer after removing your makeup if you wish, but it is not required since the remover contains jojoba oil, which is a natural moisturizer. Store it in the fridge for up to 10 days. Makeup removers containing chemicals dry out your skin. 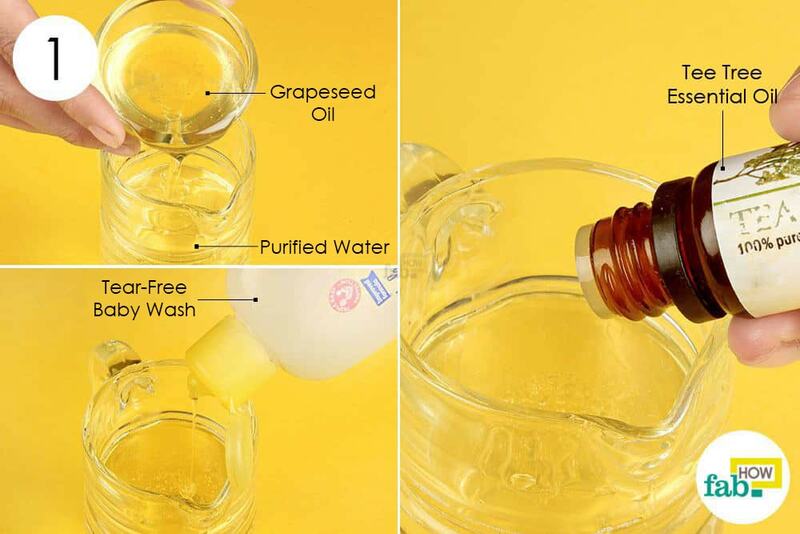 Grapeseed oil is an excellent skin nourishing ingredient. It can also be used to keep skin from aging. The use of baby wash in this recipe will keep the amount of oil left on your skin to a minimum, leaving it clean as well as moisturized. Tea Tree oil has potent antibacterial properties and has been found to be highly effective against numerous strains of bacteria, fungi, and viruses. Furthermore, it has potent anti-inflammatory a that make it an excellent remedy for treating skin conditions. Pour 2 tablespoons of grapeseed oil into a glass jug with 2 cups of water. Add 2 squirts of baby wash.
Optionally, add 2-3 drops of tea tree essential oil to prevent the wipes from molding and becoming a breeding ground for bacteria. Cut the paper towel roll into a perfume that fits well into your jar. 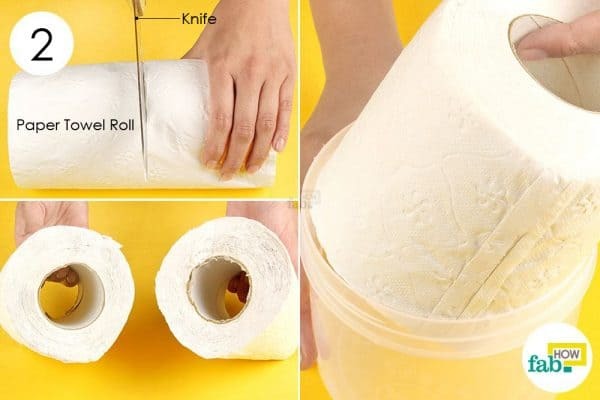 If you have fine quality toilet paper roll, that will do the job as well and save you the trouble of cutting the paper towel. 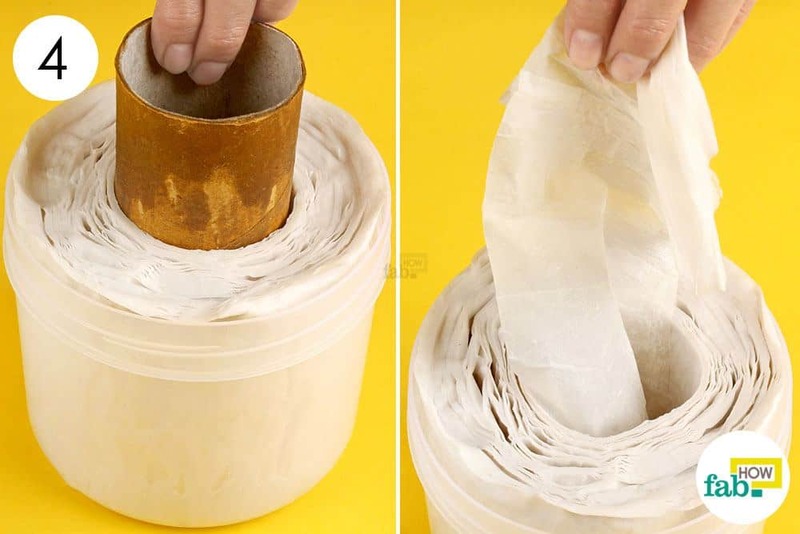 Place the cut roll/toilet roll into the jar. Press down on the roll and place the lid on the jar. Close the lid tightly and shake well to get the solution evenly absorbed. Remove the cardboard cylinder from the paper towel roll. Use these DIY homemade makeup wipes to remove your makeup every day. 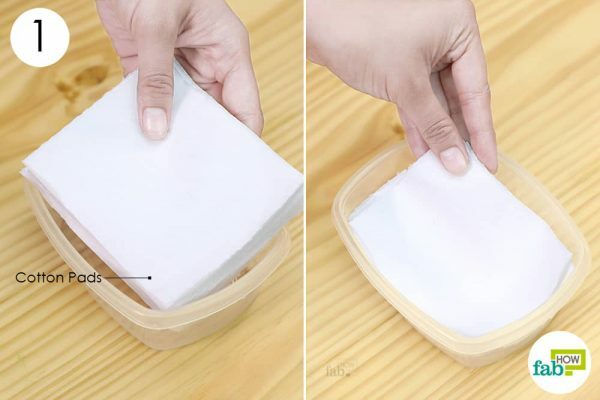 Store these wipes for up to 10 days in the refrigerator in an airtight container. 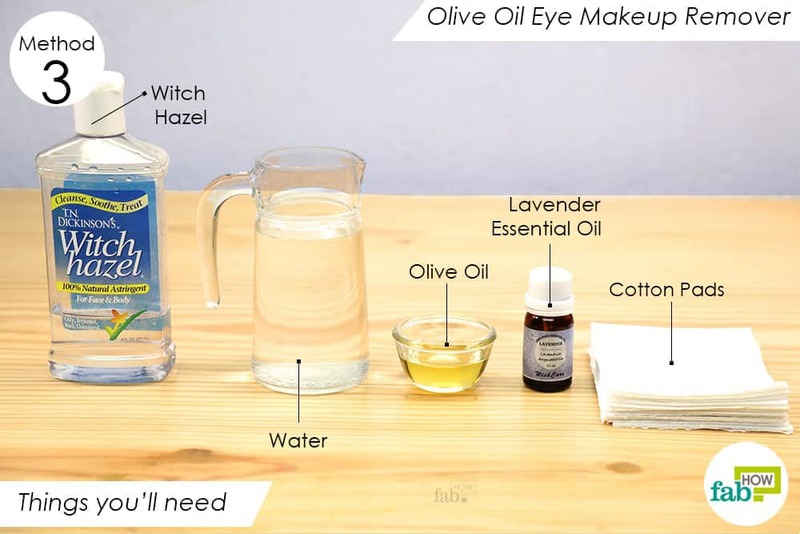 Olive oil makes an excellent base for a makeup remover. It cleanses the skin as well as providing antioxidant and anti-aging properties, which help heal damaged skin and promote skin regeneration. Using a skin care routine that has anti-aging properties each day will keep your skin fresh and wrinkle-free for longer. Witch hazel will help keep balance in your skin's barrier. In addition to this, the Native Americans swear by this ingredient for healing wounds and scars. It also reduces skin inflammation and itchiness. Place 8 to 10 sheets of cotton pads in a container in which you can store them for an extended period. Add 1 tablespoon of olive oil to 1 cup of water. Add ½ tablespoon of witch hazel. Optionally, add 5 drops of essential oil of your choice. Pour this mixture into the container containing the cotton pads. Put on the lid and allow them to soak up the liquid. 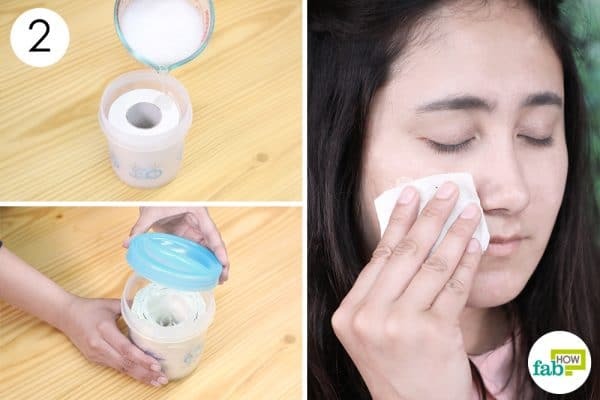 Add more cotton pads if you have excess liquid. 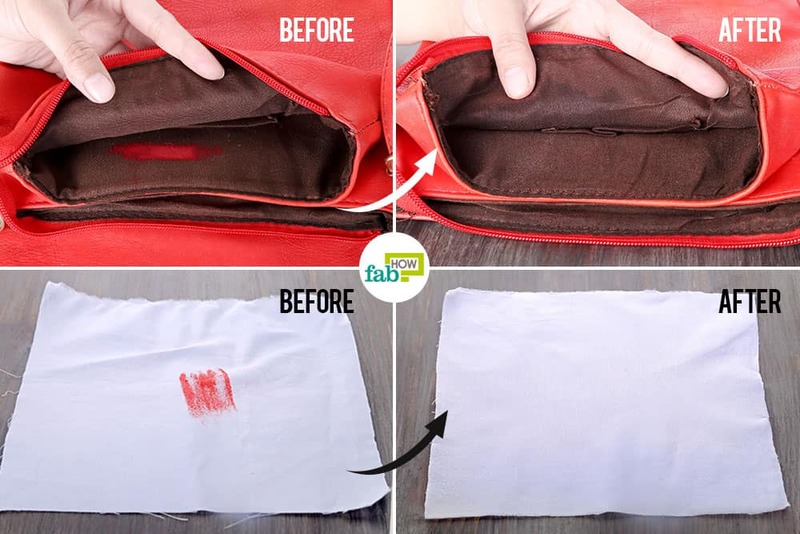 Take out soaked pads and use it to remove your makeup. 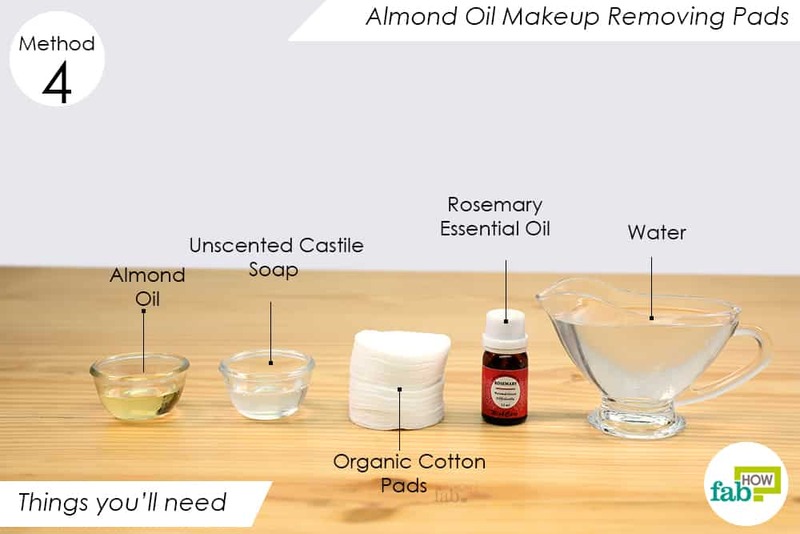 Almond oil is rich in vitamin A that is very nourishing for your skin, and it’s known to clear clogged pores by penetrating deep into the skin. Which, in turn, makes the skin look clear and hydrated. Almond oil also enables the skin to absorb more water and helps in sloughing off dead skin and promoting skin regeneration. It very gentle and light on the skin, which makes it a great choice for at home makeup remover recipes. Apart from benefits for hair growth, rosemary essential oil also has natural antiseptic properties, disinfecting the skin and castile soap acts as a mild cleansing agent. Pour ½ cup of water into a jar. Add 1 tablespoon of unscented Castile soap. 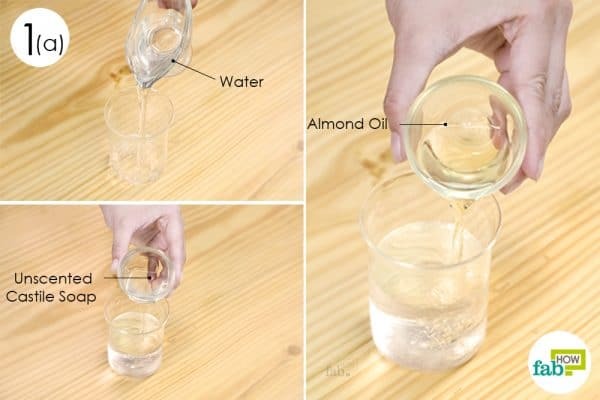 Add 1 tablespoon of almond oil as well. Optionally, add 8 drops of rosemary essential oil to it. 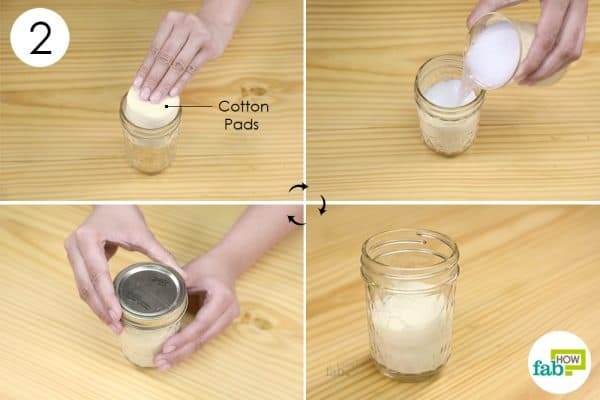 Place cotton pads into a mason jar. Pour the whisked liquid into it. Put the lid on tight, and store your remover in a cool and dry place up to 3 months. Use the cotton pads to remove makeup and oil from your face. 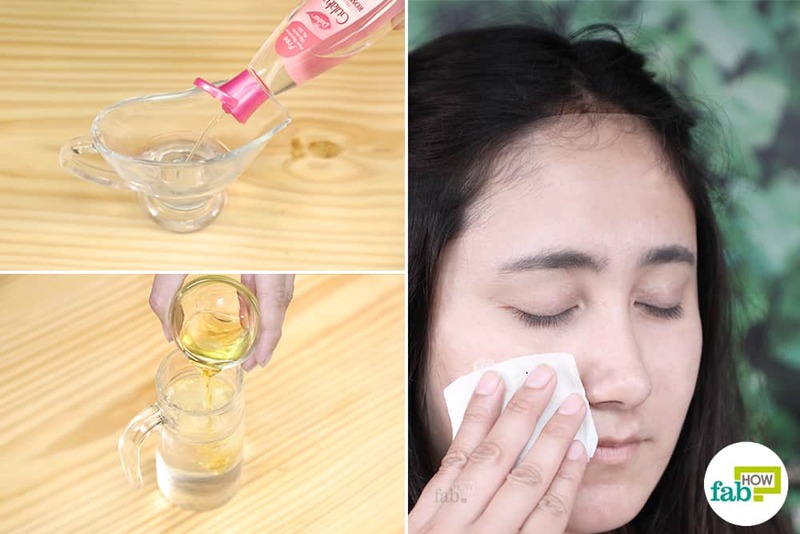 This DIY homemade makeup remover can be used twice a day, as it is very gentle on the skin. What makes baby shampoo a good DIY homemade makeup remover is that it’s gentle on the skin. It does not irritate, itch or cause redness on the skin, and it’s suitable for most skin types. The therapeutic grade lavender essential oil in this remover is regarded as having the most relaxing effect on the body and can aid in decreasing redness or inflammation along with removing makeup. The aroma of this oil is calming and relaxing on the mind and body. It can even double as a natural perfume and first aid ingredient. Vitamin E used in the recipe has excellent antioxidant, anti-inflammatory, and skin healing properties, which make it an excellent remedy for various skin and hair problems. Pour 1½ cups of water into a wide-mouthed jar. 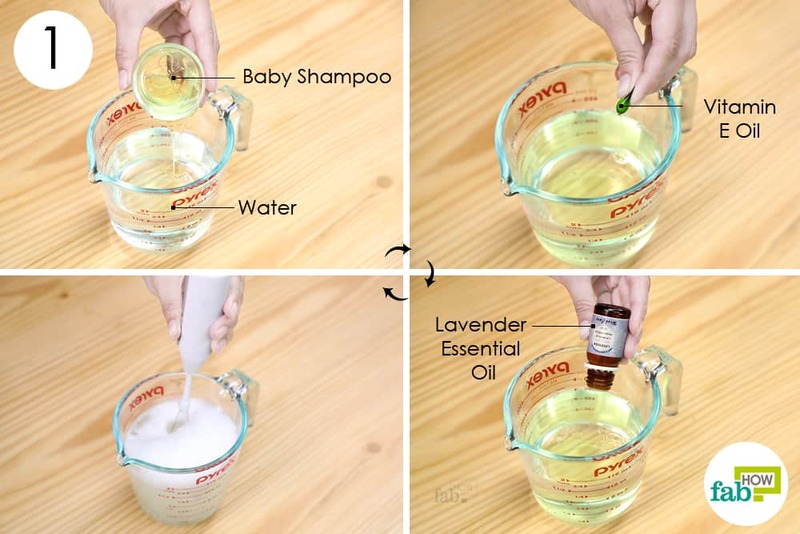 Add 2 tablespoons of baby shampoo. 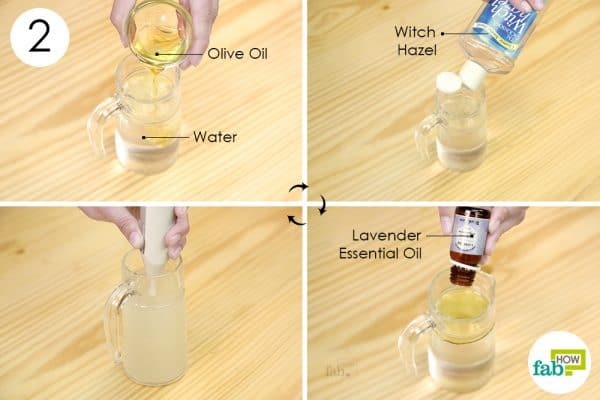 Add a ¼ tablespoon of vitamin E oil and 5 drops of lavender essential oil (optional) to it. 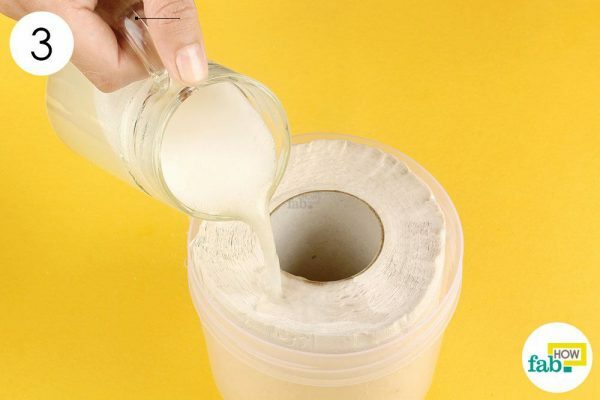 Place the paper towel roll in a jar and pour the liquid into it. Close the lid tightly and store your remover in a cool and dry place for up to 1 month. Use this Homemade makeup remover to clean the makeup off your skin. Sensitive skin types may have issues with the paper towel texture. 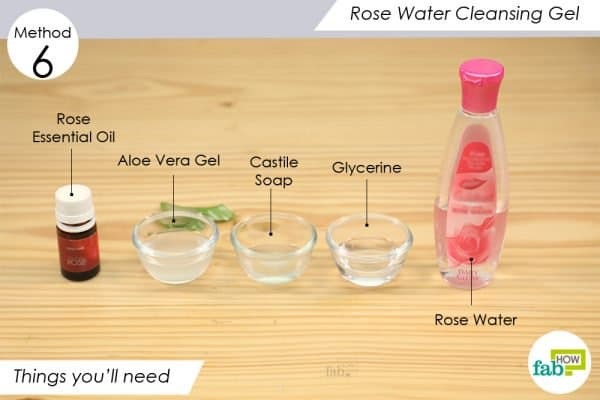 Rose water is a great cleanser and removes oil and dirt, without leaving the pores open due to its astringent nature. It hydrates the skin well and soothes irritants. It also has anti-inflammatory properties that help reduce irritation or redness if you have eczema or other skin rashes. It can even help heal scars and bruises, due to its antibacterial properties as well. The enzymes present in aloe vera gel help seal moisture into your skin and also form an antibacterial coating to protect it against infection. It is believed to bolster collagen production by stimulating the fibroblast cells in your skin. 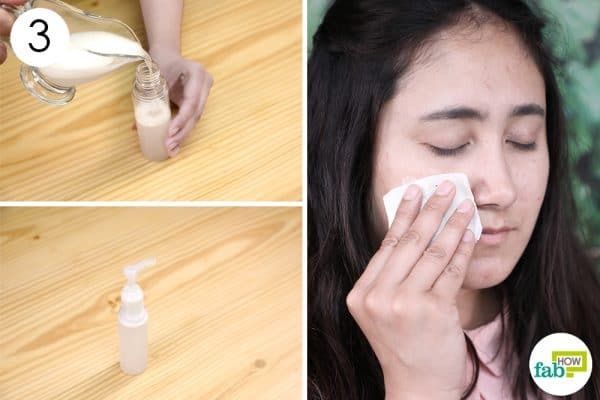 On top of all this, this DIY homemade makeup remover has the fragrance of rose water and with the added rose essential oil it’s super fresh smelling! Pour ¼ cup of rose water into a bowl. 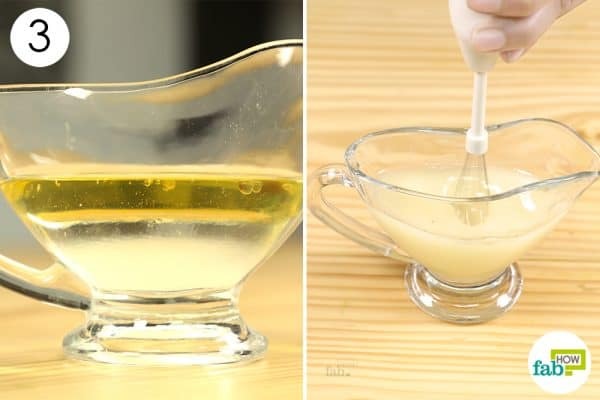 Add 1 tablespoon of aloe vera gel. Add ½ tablespoon of glycerin. 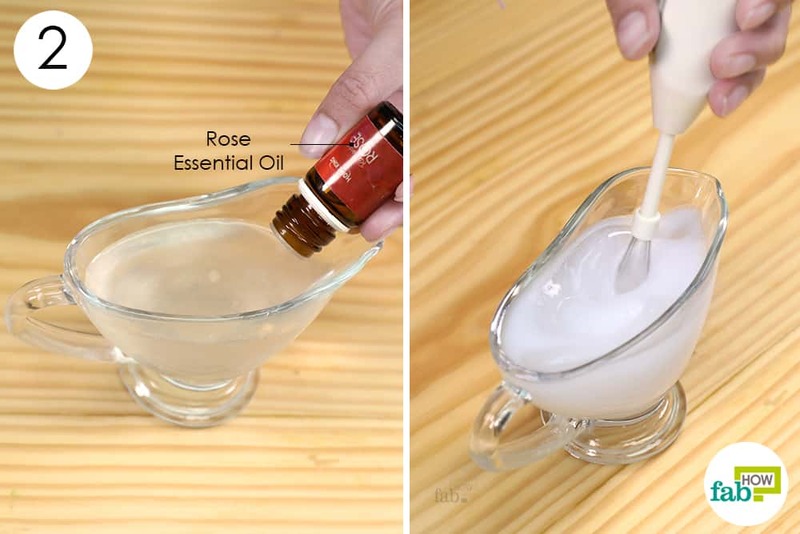 Add a ¼ tablespoon of castile soap as well. Add a few drops of rose essential oil to the mixture. Pour the mixture into a squirt container, and store it in the refrigerator or cool, dark and dry place up to 7 days. 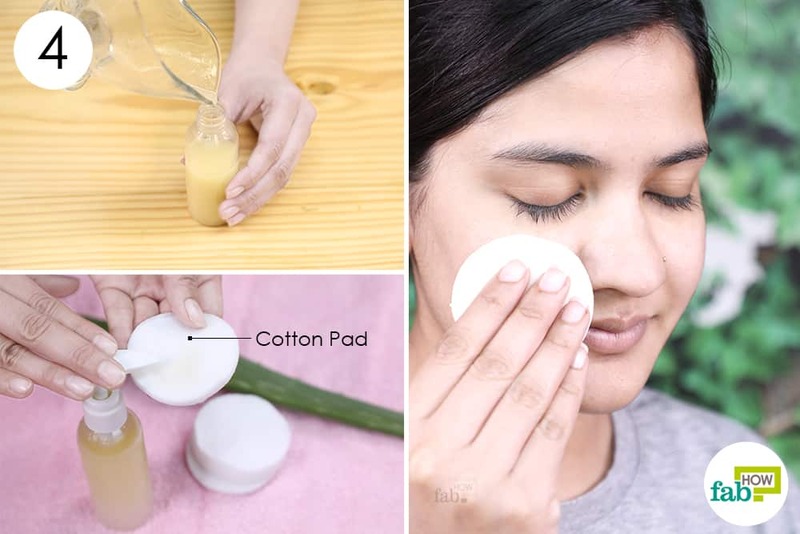 Squirt a little onto a cotton pad and wipe your face to remove all the makeup, dirt and oil. 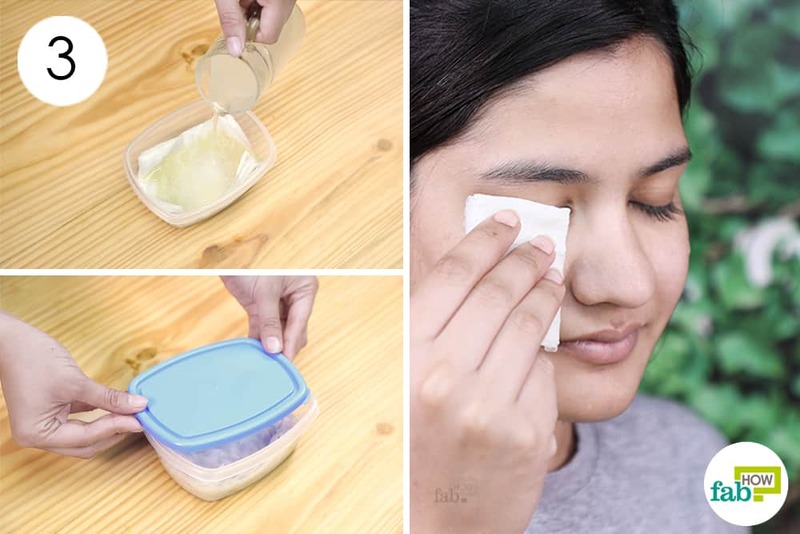 You can store this DIY makeup remover refrigerated for up to 10 days. witch hazel dries out my skin and makes my blemishes worse do the other ingredients lessen the reactions?? If Witch Hazel does not suit you, refrain from using the recipes with it. 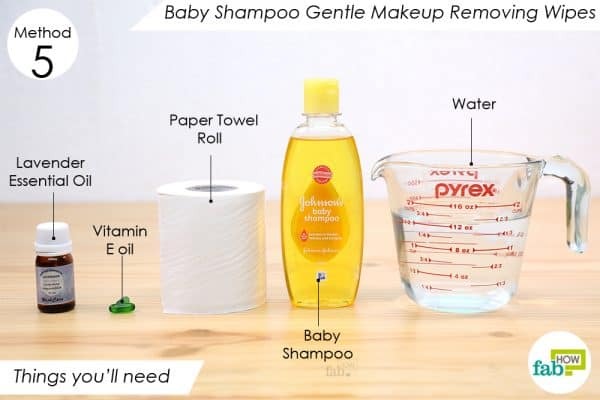 Instead go ahead with other recipes using a baby wash, castile soap, or baby shampoo. And for your dried out skin use aloe vera as a gentle moisturizer if it suits you. 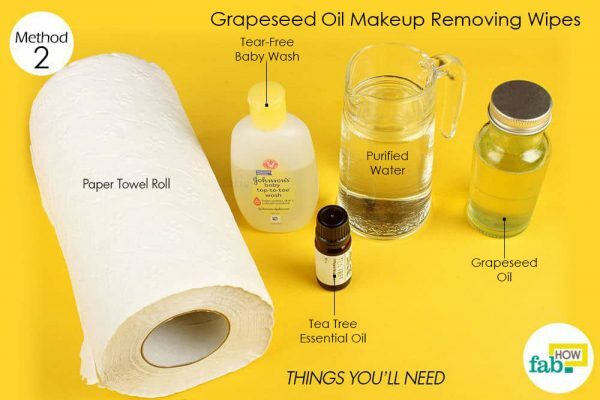 Your recipes for makeup remover look amazing! What’s their shelf life…I noticed you don’t have any preservatives. Thank you for your feedback. The makeup removers will keep good for 7-10 days provided it is kept in a cool dry place. Keep a check on it as weather conditions may cause the growth of mold in the wet wipes because it is all natural with no preservatives.